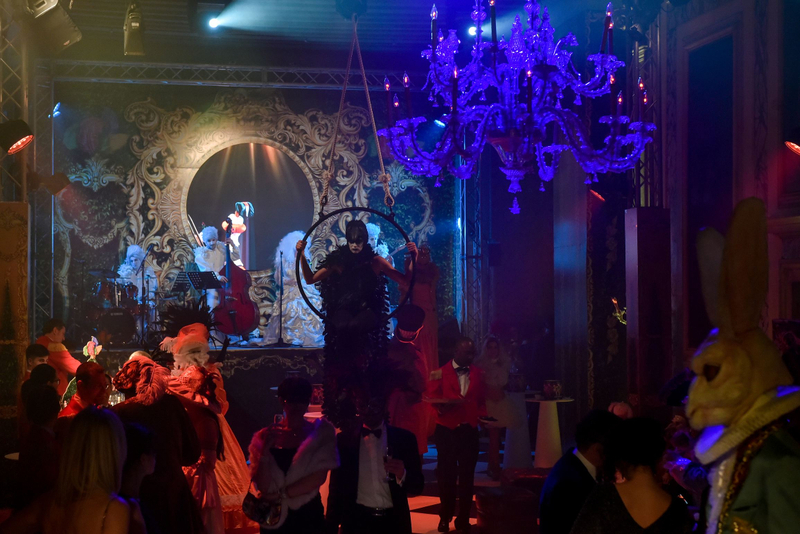 The Official Dinner Show and Ball is not simply a dinner. It is an exclusive experience where the pleasures of palate and party come together. 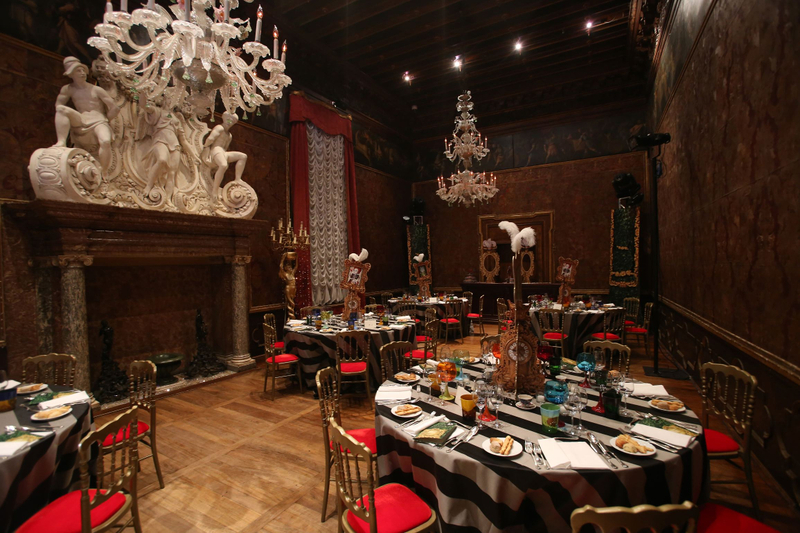 The majestic Ca' Vendramin Calergi palace with its splendid Renaissance rooms overlooking the Grand Canal, will be exceptionally enlightned by the spectacular video projections realized by CamerAnebbia. Famous musician, Richard Wagner composed “Parsifal” while living in this fascinating space. 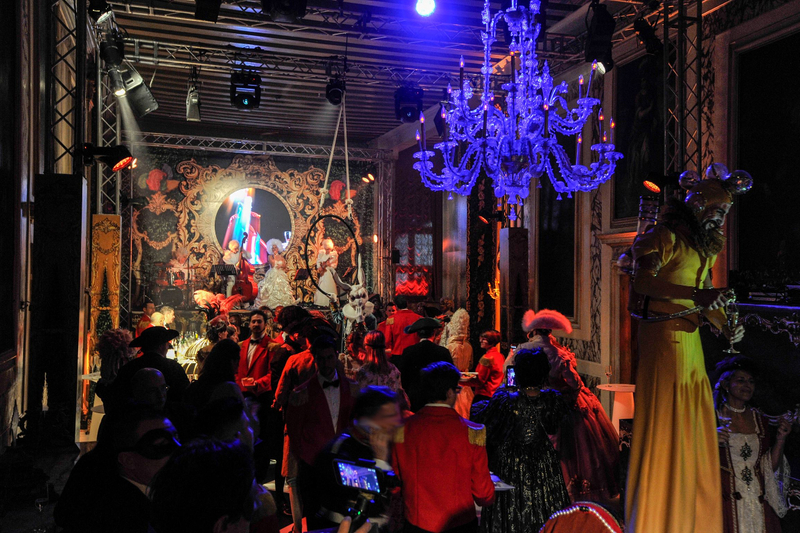 In exclusive surroundings, amid sophistication and professionalism, you will enter a magical dimension where each detail has been taken care of - rendering your Carnival experience something absolutely unforgettable. 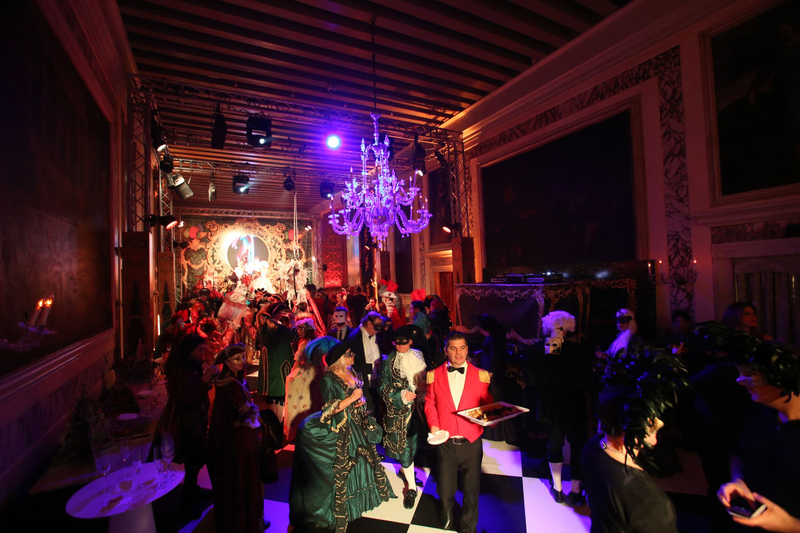 Prince Maurice will welcome guests and lead them through the wonders of a daydream, a lavish menu proposed by chefs from Ristorante Wagner and the exciting artistic performances of Nuart, costumes from Atelier Pietro Longhi, the elegance of the enchanting view over the Grand Canal of Palazzo Ca' Vendramin Calergi are some of the special ingredients of a unique and extraordinary recipe that will transport you out of space and time. 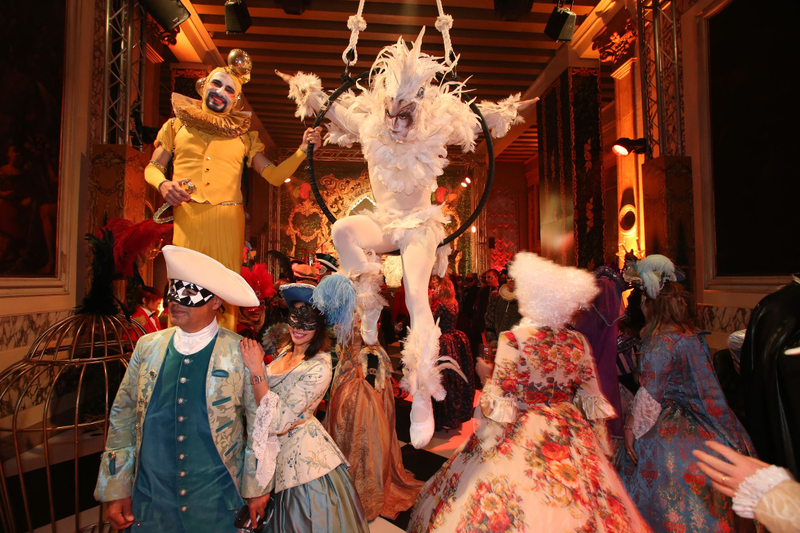 The show, performed by Nu’Art Events, will develop a new concept by Art Director Marco Maccapani for the Venice Carnival @ Official Dinner Ball&Show. 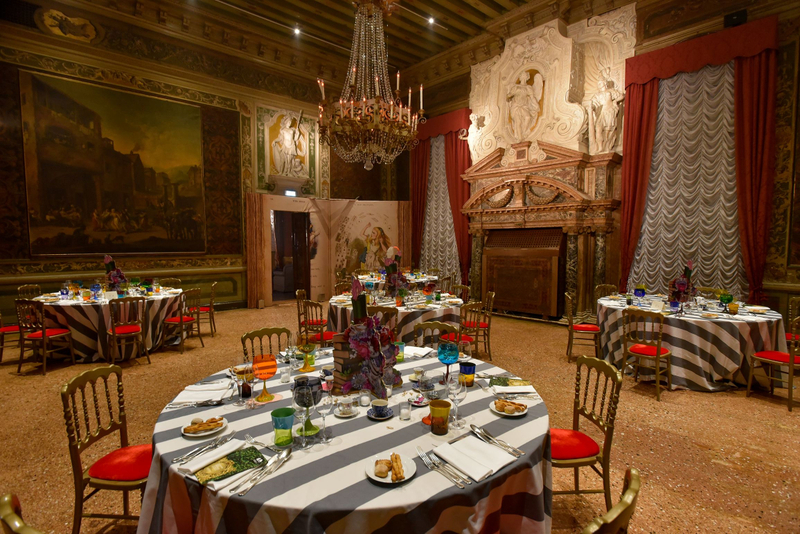 The enthralling dinner will be developed between 6 alchemical rooms, where the international cast of dancers, musicians, performers and actors will create a madness mood atmosphere. Chemical reaction between mirrors, molecular decoration and theatrical actions. After a placèe dinner in the room with live performances. Dinner includes 5 courses (starter, mix of two first courses, second course, dessert) and an Italian wine selections. Please inform in case of food allergies/intolerances, and an alternative menu will be offered. Entrance is forbidden to minors under the age of 18. Repeats в день до ср Фев 14 2018 .